You might think that having a building named after you is already a huge deal, but a bonafide crazy rich Asian has a street (or an entire province) with their name on it. Ayala Avenue, Ortigas Center, Quezon Province-- these are just some of the places that are named after prominent families in the Philippines. Traffic in the city is getting worse by the day. However, while most people spend at least an hour just to cross EDSA to go to BGC from Makati, you're able to skip the hellish queue of cars by simply flashing your all-access pass to Forbes Park or Dasmariñas Village. You proabably attended one of the Philippines' elite international schools or went to a top boarding school, and definitely finished your undergraduate degree overseas. This is where you made not just lifelong friends, but invaluable connections as well. You're not really one of the "who's who" unless you're a member of a private club. Members aren't fooling anyone if they say they're paying millions per year for access to a swimming pool and the occasional club sandwich—these ultra-exclusive institutions are the ultimate status symbol and the perfect opportunity to rub shoulders with the city's key players. Regular trips to Europe are no big deal. When you frequent places like Paris, New York or London, as if you were simply commuting to Cubao or Quiapo -- it can't get more affluent than that, can it? Unless... you own several properties across the globe, then, in that case, the world is your oyster! Snow, Gaucho, and Nala | From Philippine Tatler's April 2018 Issue - "Year of The Dog"
Crazy rich pets deserve only the best. If it's good enough for you, it's good enough for your dog. Keeping your furry pal as fabulous as you is easy as pie for the crazy rich Asian. Besides wearing Jo Malone, your dog probably gets mani-pedis from the most prestigious dog spas. Nothing less for your best friend! Can you say adorable? There are many perks to being a crazy rich Asian, but the best one—and the most rewarding—is being able to give back to the community and to worthy causes. Getting away from the hustle-bustle of Metro Manila is easy-peasy for the crazy rich Asian. Whether it's in Punta Fuego, Tali, Calatagan, Pearl Farm, or Amanpulo -- a relaxing weekend under the sun, surrounded by pristine white sand, is just as effortless as signing a million-peso deal. One of the challenges of living in an archipelago is going from one island to another. However, this is no concern for the crazy rich! Why bother taking a boat when you can fly to paradise? 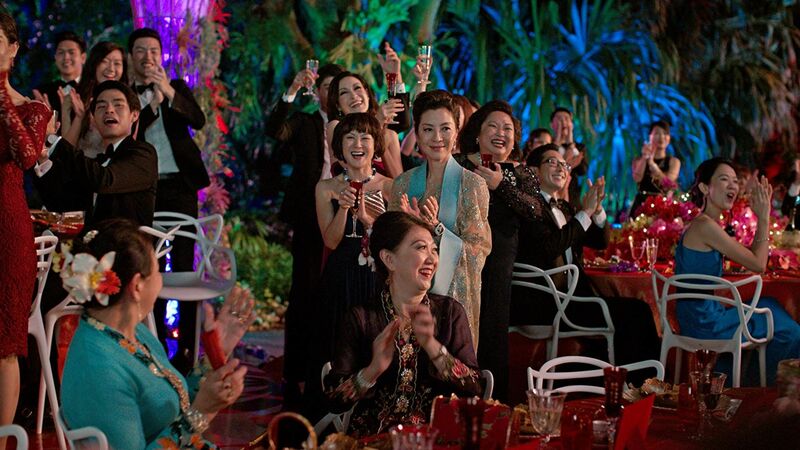 If you've received an invitation to the highlight of all society events every single year, then you qualify as a crazy rich Asian. Here, attendees celebrate in the most luxurious fashion with friends, donate to philanthropic causes, and casually bid millions at the charity auction.